Happy Canada Day to our Canadian members. Happy Fourth of July to our members from the United States. 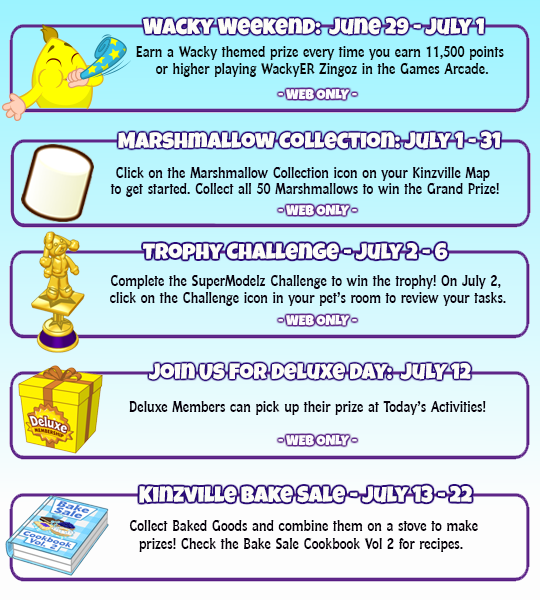 Which Webkinz events are you looking forward to in July? 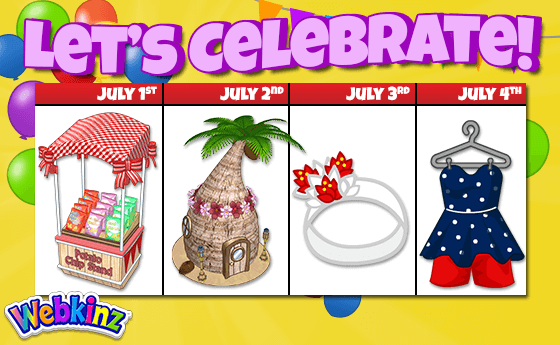 What do you think the Deluxe Day gift will be? What do you do for the Fourth of July or Canada Day? I scored 70 on candy bash … the deluxe challenge is going to take me a while lol … and it’s not even one of the pet medallion games, so ugh! only thing i bought from the store was a banana pepper and tomatoes as ours have another few days………. so nice to have a human in the house! and what on earth in the above comment made it go to spam??? moms… being the eternal optimist that i am………..never thought he would go.. Happy Canada Day to all of you who live up north ! dee..Sadly it is LeBron leaving again…Most of our city will be talking about it for quite a while….Can’t imagine being able to spend 154 million dollars !! We sure could have a swanky Gymbos Gathering with that kind of money !! Would be so fun to meet and talk Webkinz !! Heat wave continues here…supposed to get some thunderstorms here later today… Are your trees still standing ?? Leaky pipe.. plumber coming today.. Hope it doesn’t cost 154 million to fix !! Thanks for the congrats on the trophies, all! The trophy run is not over yet, because I finished Goober’s on two more accounts, and I have earned four SuperModelz trophies today. Here is how you get rid of the SuperModelz trophy in a hurry…Play two of your own accounts against each other, using two different browsers. (I used Firefox for one account and Pale Moon for the other.) This way, you win on one of your accounts, and it doesn’t matter if you lose on the other. I am SO DONE with SuperModelz trophies, thank goodness! gaga, for Goody Gumdrops, it helps to set aside a block of time and just play it over and over. This way you become familiar with the gumdrop and obstacle patterns. (The order in which the patterns are on your game will change, but the patterns themselves will not!) You definitely want to grab every star you can, because stars give you an energy boost. If you see a Zangoz costume, grab that, because then you can run through obstacles without any damage. If you see a magnet, grab that, because that will attract any nearby gumdrops to you, so you don’t have to jump as much. And make use of the double jump. If there’s a star on top of a cactus, jump to get the star and then jump again immediately and you won’t hit the cactus. Obstacles that give you damage are cacti, bees, hedgehogs…try not to hit those. And just play it over and over till you get the hang of it. I got the trophy despite being like 12 meters short of 25,000, so, like horseshoes, close counts! I play with the sound off, because I find the music really annoying and thus distracting. Hope this helps! All this sports talk has me lost, lol! The only sport I know is stomping up and down mountains. Catmom, please hurry up and recover, sweetie! I miss your presence here. And where is Ruby Cubes? Hellooooooo? I miss you too! And has anybody heard from Amber regarding ME? And where is zingy? bepsy is MIA too. Where did the board go? opinion is it better to use the trampoline gumdrops or bypass them.. I have tried it several ways.. and they don’t seem to provide any extra points.. I also leave the sound of the game … very annoying.. Thanks again for your help ! Any info on the Pumi Pup ?? I hope everyone is just on summer breaks & vacations … i hope – i miss everyone too! gaga, I actually really don’t use the trampolines, since I do better with the double jump. And no info on the Pumi Puppy that hasn’t yet, except for what the eStore posted on that face place I will never join. i got two trophies today, just by playing over and over………not sure what the heck they want from me! that will last us till the weekend! and just grill more stuff…..
just dumped a heavy bag of jalapenoes and cucumbers on a neighbor who was thrilled to get them. I wish the food pantry place was not so far away…. or is it hasta la vista??? and why on earth is cuke a bad word? i read a couple articles about LAbron and most of them said that he wanted to see if he could take his new team to a championship, like a personal challenge type thing. it would sound snotty coming from anyone but him (I do know some stuff), but it think it makes the rest of the team look terrible and i would cut their salaries if i was in charge……….. 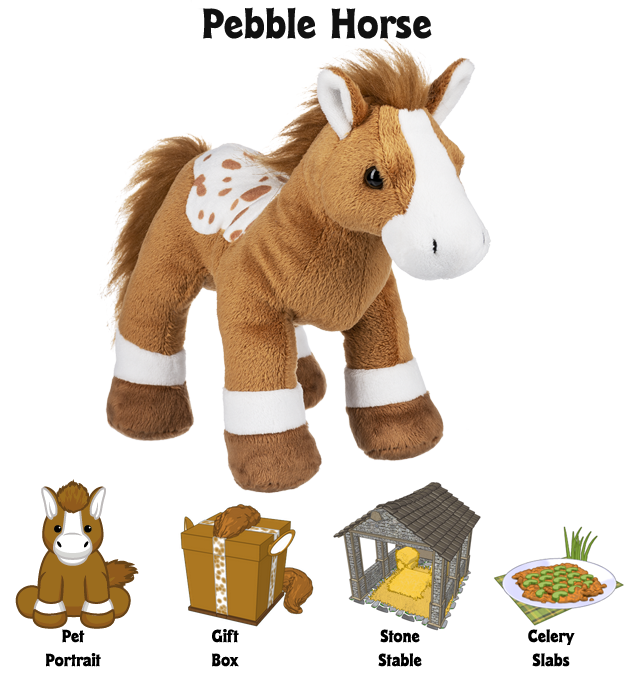 Goes with my cow, Moomoo and brown cow, Chocolate Moomoo. The Gumdrops game frustrates me. I think the farthest i’ve gotten is around 18000. But i’ll keep trying because i want that trophy. The weather this weekend is looking a lot better, so we might be able to go to cedar point after all. It’s been so hot the past few days, it’s ridiculous. I had to take the phone mount out of my car because the gel stuff that holds it to the windshield was starting to melt! After thursday we’re getting below 90 so i should be able to put it back on then. Gotta call the vet in the morning to see if i can get an appointment tomorrow for my cat. She’s been getting scabs on her chin that will get better and then come back. My mom was gonna mention it to the vet at her next appointment, but now she’s got a big sore that goes from her chin down her neck, probably about 1.5-2 inches in length. I can’t get a good look at it because she puts up a fuss, but it doesn’t look good. At her last appointment the vet said she was in very good health considering her age (15), but i worry about her because she is so old.